Nimbus2 expands the reach of dance, focusing primarily on under-served student populations to cultivate new and future audiences. Developing young dance professionals with Nimbus Dance Works’ aesthetic, repertory, and approach, Nimbus2 provides a rigorous and inspiring environment for dancers to grow. Through performance of their own repertory, community engagement, and in conjunction with Nimbus Dance Works, Nimbus2 brings joy and verve to the populations they reach. (Baltimore, MD) began her dance training at the age of four at Flair Dance Studios and continued studying with Elita Pratt in Baltimore. Ms. Cunningham is currently enrolled at Montclair State University seeking a BFA in dance as well as a BS in exercise science. 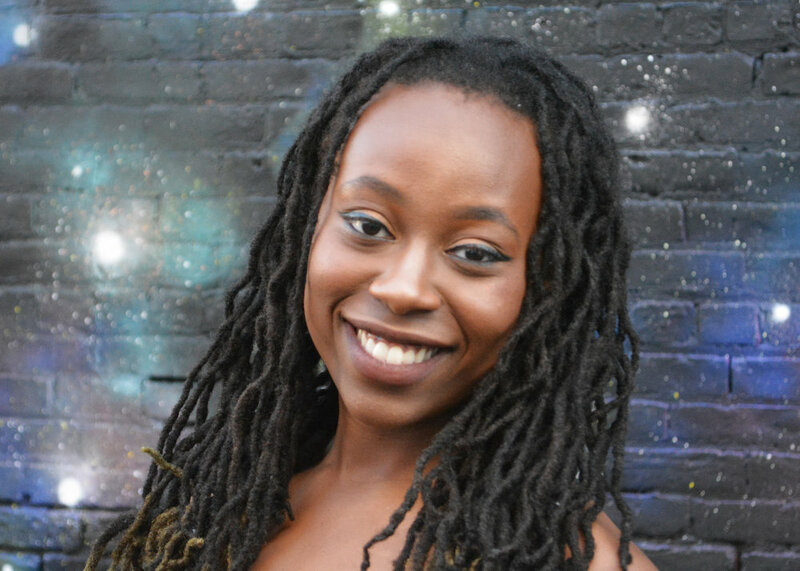 Ms. Cunningham has participated in various intensives including ADF, Alvin Ailey Summer Intensive, Martha Graham, 10 Hairy Legs, Gibney Summer Study, and the Blueprint Intensive. While attending Montclair State University, Ms.Cunningham has had the opportunity to perform works by Camille Brown, Stacey Tookey, Earl Mosely, and Larry Kegwin. She has also performed in Doug Elkins’ premier work O, Round Desire in 2017. Ms. Cunningham is thrilled to be joining Nimbus2 for her first season. (Lynn, MA) was born in the Dominican Republic and moved to the United States at the age of four. Mr. German began his dance training at the age of eighteen at Wesleyan University in Middletown, CT, from where he received his B.A in Biology and Dance in 2016. 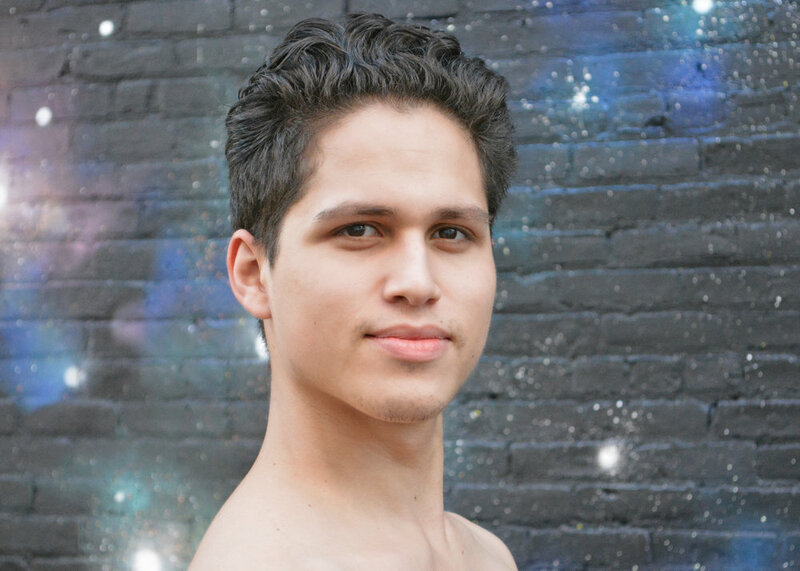 He furthered his dance training at NYU's Tisch School of the Arts, receiving an MFA in Dance Performance and Choreography in 2018. Mr. German trained in summer intensives at the San Francisco Conservatory of Dance and Springboard Danse Montreal and has performed works by Paul Taylor, Ohad Naharin, Sharon Eyal, MADBOOTS DANCE, and Kate Wallich. He had the pleasure of performing at the 2016 Fire Island Dance Festival alongside Linda Celeste and Glenn Allen Sims of Alvin Ailey American Dance Theater, with choreography by Abdul Latif. This is Mr. German’s first season as a dancer with Nimbus2. (Portland, Oregon) began dancing at the age of ten at a local studio under the direction of Carene Boersma. She received her BFA in Dance with a Modern Concentration from Marymount Manhattan College. While at Marymount, Mika had the opportunity to perform works by Robert Battle, Jacqulyn Buglisi, Darrell Grand Moultrie, Andrea Miller, David Parker, and many others. She has also spent summers training with The Martha Graham Dance Company, Hubbard Street Dance Chicago, and Northwest Dance Project. Ms. Greene is extremely excited to be with Nimbus2 for her first season. (Kelowna, BC, Canada) began her dance training at the age of four with The Canadian School of Ballet. After graduating high school, she moved to New York City to further her dance training at Joffrey Ballet School. There she was asked to join and perform with the Joffrey Ballet Concert Group under the direction of Davis Robertson. Ms. Hutton has frequently performed in cities across the United States and internationally in Italy and Canada. She has worked closely with ballet masters Stacy Caddell, Sam Meredith, Brian McSween, and Nicole Duffy. Ms. Hutton has performed in original works created by choreographers Africa Guzman, Gabrielle Lamb, Gary Chryst, Julie Bour, Jean Emile, Tyler Gilstrap and Davis Robertson. She has also performed signature works by George Balanchine, Gerald Arpino and Donald Byrd. Ms. Hutton graduated from the Joffrey Ballet School in 2017 and is looking forward to starting her second season with Nimbus2. (Orlando, FL) started his dance training at the age of 15 at The Center for Contemporary Dance, where he trained in ballet and modern with Jeré James and Ingrid Lozano. There he performed at countless schools and events including a Radio Disney Performance. He then attended the Joffrey New York Summer Intensive on full scholarship, where he worked with choreographers such as Brian McSween and Africa Guzman. Mr. Rizo then obtained a scholarship to attend the Orlando Ballet School’s Summer & Scholarship program under the direction of Dierdre Burger. He then continued his training at Inez Patricia School of Dance under the direction of Jeré James, where he also worked with Sharon Wong. The following year, Mr. Rizo was accepted into the Independent Study & Scholarship Programs at The Ailey School in New York. There, he has had the opportunity to train under Earl Mosley, Ari Mayzick, Jacqulyn Buglisi, Adrienne Hurd, Tracy Inman, Kevin Predmore, Bradley Shelver, and has had the opportunity to dance in a piece choreographed by Darshan Bhuller. Mr. Rizo has also attended many summer programs, including the program at Complexions Contemporary Ballet under the direction of Dwight Rhoden and Desmond Richardson. Mr. Rizo is in his first season with Nimbus2. (Middletown, NJ) trained under Nancy Turano of New Jersey Dance Theater Ensemble, Nicholas Mishoe from the Academy of Dance Arts, and Donielle Janora from Allegro Dance Academy. While on a four year scholarship, she received her B.F.A. in dance from George Mason University. At GMU Ms. Stucko performed soloist and ensemble roles in works by Lar Lubovitch, Doug Varone, Christopher d’Amboise, Susan Shields, Roger C. Jeffrey, and Nick Pupillo. She performed in Lar Lubovitch’s closing show at the Joyce Theater during his 50th anniversary season as “pink girl” in A Brahms Symphony in April 2018. Ms. Stucko also performed with Doug Varone and Dancers in November at GMU’s Center for the Arts. She has attended American Dance Festival, the Gibney Dance Company Intensive, Pre-Movement Invention Project, Peridance BLUEPRINT, Paul Taylor, Complexions, and BOUNCE! Throughout attending these programs she has shown work created by Lucinda Childs, Nancy Turano, Sidra Bell, Gregory Dolbashian, KIDD Pivot, Jana Hicks, Iquail Shaheed Johnson, Lisa Harvie, and Debbie Rosche. Ms. Stucko has also served as a mentor and facilitator for the Pre-Movement Invention Project, led by Alexandra Wells for three summers. Her extensive studies in Kinesiology and training to be a certified yoga instructor are other passions that have informed her dancing. Ms. Stucko is very excited to be joining Nimbus2 for her first season.